I agree with Sam Gustin when he says that yesterday’s Facebook Developer Conference in San Francisco was in the end a snoozer, but not because CEO Mark Zuckerberg failed on stage. First of all, saying the event itself was sleep-inducing is just factually incorrect. Before and after the keynote they played music so loud that a deaf person would complain. I was alarmed and somewhat panicked by the noise, but certainly not sleepy. And on a more serious note, Zuckerberg himself was much more at ease and charismatic on stage than I’ve ever seen him previously. He’s no Steve Jobs yet, but he’s no slouch, either. I left the event feeling fairly upbeat about Facebook. They sent a clear message to developers that they need to build compelling apps and learn to play nice. And they created a clear reward and punishment system to deal with both ends of the spectrum. But I’ve learned that I need period of reflection after these super-shows before I can really digest what happened. And after reflecting, I’m feeling more than a little let down by Facebook’s product focus and ability to execute. A year ago Facebook set the Internet on fire with the launch of Facebook Platform. Competitors rushed to respond, and since then Facebook has been on a tear. Facebook has all the momentum as the worlds largest social network (if not the most valuable), and they’ve always been willing to launch bold and controversial new products that change the way people perceive the company (News Feeds, Platform, Beacon). Everyone looks to them to see what comes next. When rumors surfaced in May that they were going to announce Facebook Connect, a way for third party sites to integrate their services with Facebook profile data, Google and MySpace rushed to announce their own versions of the product, with nearly identical features and, in the case of Google (Friend Connect), a suspiciously similar name. But today they were not bold, and they did not act like thought leaders. There was no controversial but exciting new product experiment unleashed on a gushing audience. Instead, there were minor tweaks to a platform that needs a major overhaul. Facebook Connect, the most exciting new product on the agenda, is still vaporware. A parade of partners came out on stage to talk about all the great things they’ll do when it eventually launches this Fall. Meanwhile, Google’s product is in working alpha, and MySpace has fully launched Data Availability. The new three tier ranking system for apps, which we first wrote about in March, addresses the problem of black hat developers, but it may create more pain than it’s worth. 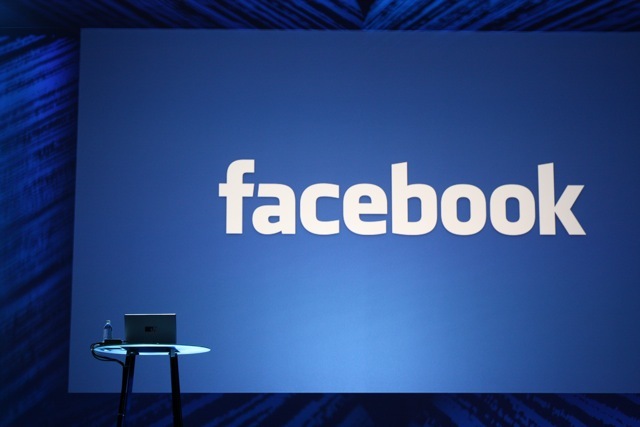 Developers have long complained that Facebook plays favorites. More disappointing is what Facebook didn’t announce today. No payments platform, even though developers are begging for a way to make money beyond pitifully-low (and falling) CPM ads. Nor did Facebook address their now quaint and basically unusable messaging system, even though MySpace paved the way for them by implementing Gears nearly two months ago. Facebook also didn’t take the opportunity today to make amends with Google and cross-integrate their products. Competition is fine, but users are best served with interoperable products. In effect, Facebook is continuing to tell their users exactly what they can and cannot do with their own data. Finally, Facebook chastised developers who build slow applications, telling them that they need to speed things up and think about scaling. But user complaints about the slowness of Facebook in general are on the upswing. Perhaps its time for the company to listen to its own advice. Suddenly Facebook is acting more like a company with lots to lose (and therefore defend) rather than a scrappy young underdog startup looking to shake things up, capture our imagination and change the world. It’s time for them to be audacious again, and take some risk. Otherwise, they risk becoming simply boring. And that’s the fast lane to mediocrity.